I haven’t posted on books which arrived in July and most of August until it is now embarrassingly late to do so. But the books above are what arrived last week, and therefore worthy of mention. First up is the latest release from the Nordic noir authors who brought us The Boy in The Suitcase; it is entitled Death of a Nightingale. “This haunting, ingeniously plotted thriller demonstrates that the sins of modern Europe–racism, human trafficking, and thuggish paramilitary-run organized crime–have evolved out of the failed ideas of Europe’s past.” Death of a Nightingale is a Publishers Weekly Top 10 Mystery for Fall 2013. Thanks to Kathy of Bermudia Onion for hosting the mailbox this week. Next Post Was There Ever A More Welcome Holiday Than This? Hmmm. Not sure if any of those are my cuppa, so I'll wait for your reviews. Thanks for the inspiration. I haven't shared a Mailbox Monday since February (unless my tagging system has failed). Might have to put together a stack for tomorrow. Anything to get the blogging mojo rolling! When you get your blogging mojo rolling, tell me the secret! Not only am I buried (and melting) at work, I'm ever more uninspired to keep the blog going. I hope it's just the heat. Regardless, I'll never stop being your friend. I haven't heard of any of these before, so I'm going to check them out. Has school started back for you yet? I hope you have a good week. Bless you, Vasilly, for asking. Institute Days were last Monday, Tuesday, and Wednesday. The kids came Thursday, and I love them. But, it's going to be the high 90s all week and I'm dreading the classroom with no air. As to these books, I like Nordic crime, and I'm interested in the dystopia to be found on Relic. I'd read them both –great choices and enjoy. Hope your school year is a great success. All new to me and looking forward to your reviews. 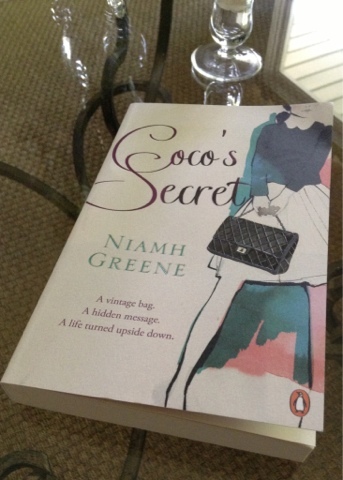 Funny, Coco's Secret's cover looks far more whimsical than the description would imply. I'm really looking forward to your review of that! I really trust your opinion, Diane, so if you like them after reading them, I know I will too! I really liked The Boy in The Suitcase by the first authors, but not the second book they wrote. I hope that this third one is as good as the first! As for Coco's Secret, and Relic, they're a bit different from the genres that I normally read, but perhaps they will be a fun respite from the dog days of August in Illinois! Isn't it funy how the cover of a book can effect us? It always surprises me as to how powerful an initial reaction the cover can cause. Love how you displayed your books. Death of a Nightingale and Relic look really good. All three look wonderful to me. So artfully arranged too! Hope you enjoy them all. Interesting arrivals — I love how you photographed them! So pretty! 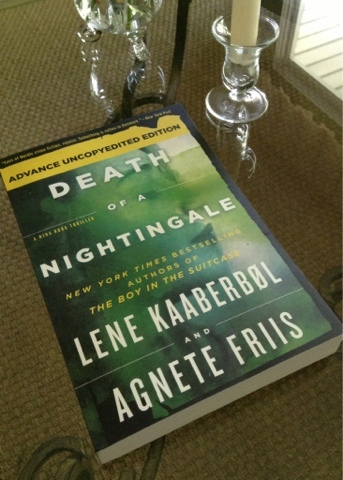 I, too, will be receiving an ARC of DEATH OF A NIGHTINGALE. I won it from goodreads.com. These are new to me. I hope you'll enjoy them, Bellezza. All three of these books sound very exciting indeed. Happy reading! Looking forward to your thoughts on Coco's Secret. Enjoy your new books! 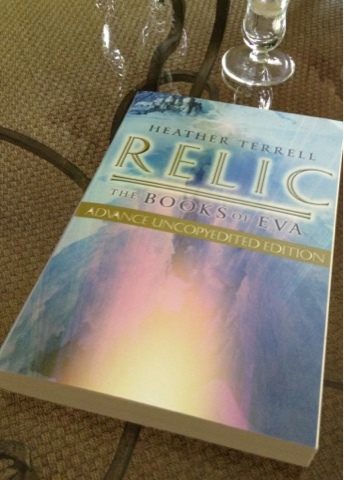 I received Relic also. Your other two look fantastic. Hope you enjoy them. I hope it's just the heat, too. Friends forever, my dear. And a visit next year!